Veep is an American 30 minute scripted comedy television series, which kicked off on April 22, 2012, on HBO and is broadcast every Sunday at 22:30. The show is currently in its 7th season. HBO has officially confirmed the renewal of Veep for Season 8. The exact release date is yet to be announced so far. Sign up to track it down. 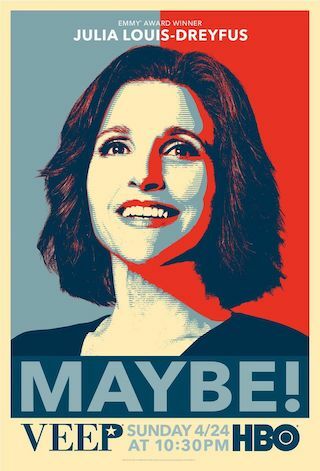 VEEP: This Emmy®-winning show stars Emmy® winner Julia Louis-Dreyfus as former Vice President Selina Meyer, who became president after her predecessor stepped down. The season six cast also included Emmy(R) winner Tony Hale, Anna Chlumsky, Reid Scott, Matt Walsh, Timothy Simons, Sufe Bradshaw, Kevin Dunn, Gary Cole, Sam Richardson and Hugh Laurie. Season six credits: Dave Mandel, Julia Louis-Dreyfus, Frank Rich, Lew Morton, Morgan Sackett executive produce. The seventh and final season begins in 2019.